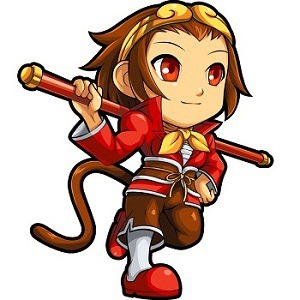 SonSon is a little monkey girl who made her fighting game debut in Marvel VS Capcom 2. 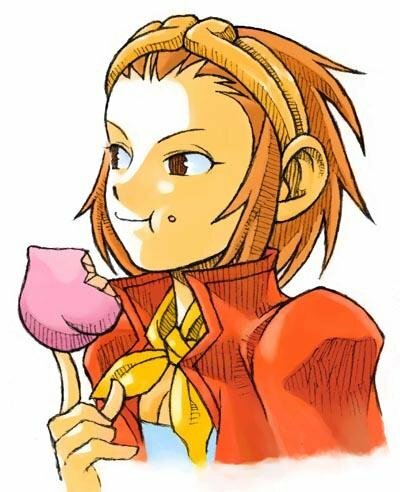 She is the granddaughter of another Capcom character (also named SonSon), who starred in the 1984 Capcom arcade game, SonSon. 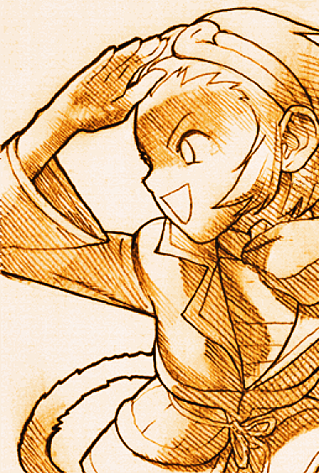 In the game, she tries to find out why her village was struck by an unknown illness. 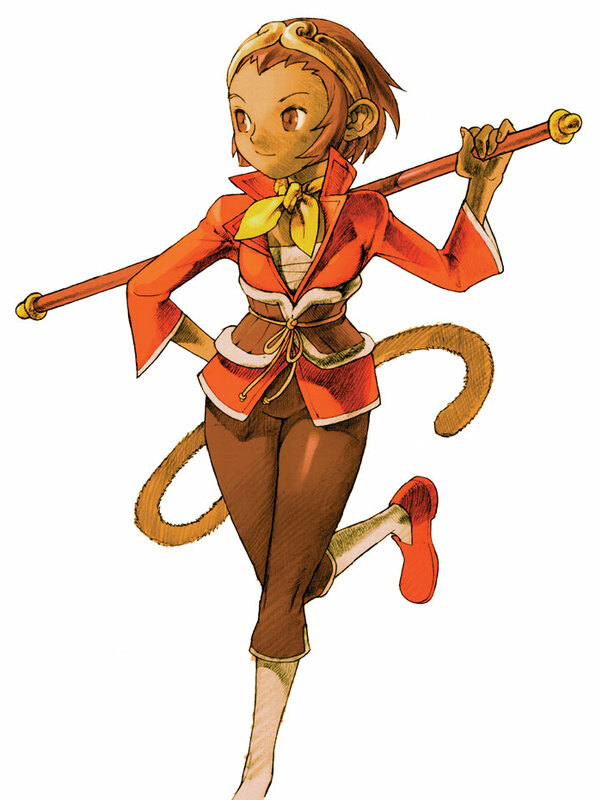 Sonson and her grandfather are both based on Sun Wukong, the main character of the Chinese novel Journey to the West. 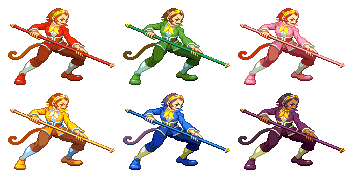 Several of her attacks in MVC2 are derived from that series, such as the size-changing bo staff, Wukong's ability to replicate himself using the hairs of his body, or SonSon trying to cook her opponent in the Shinka Hakke Jin and turn them into sake. 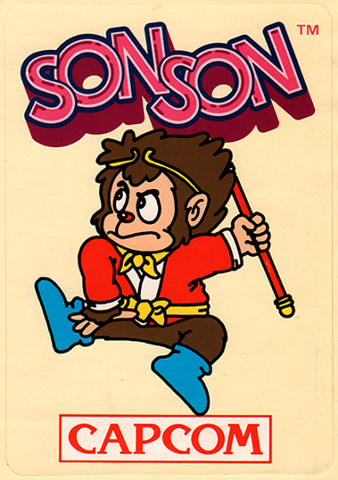 Capcom's re-imagined design of SonSon came out to be pretty cool in MVC2. She's cute, yet a bit annoying at the same time... clearly a key part of her personality. SonSon's animations and special moves are all very well done from all angles. Once agian, Capcom's animators did an outstanding job.